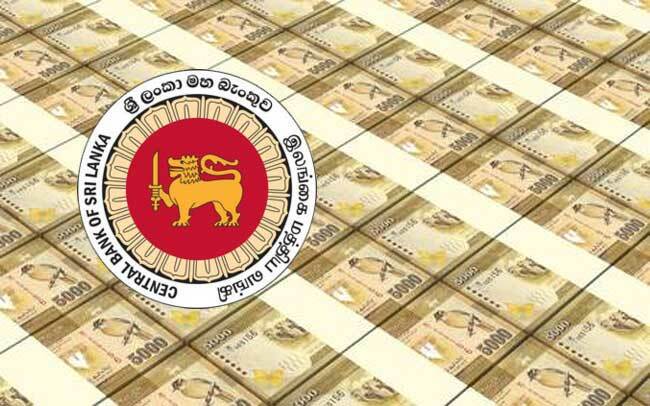 The Central Bank of Sri Lanka (CBSL) issuing a press release regarding recent media reports alleging that CBSL has increased money printing, stated that the concepts and facts in such articles remain grossly inaccurate and misleading. The relevant media reports suggested that the CBSL has printed a large amount of money recently to help finance the government’s fiscal commitments. Wishing to provide clarification regarding the allegations, the following statement has been released by the CBSL. “The attention of the Central Bank of Sri Lanka (CBSL) has been drawn to recent newspaper articles on increased money printing by the CBSL in the past few days. The CBSL wishes to provide the following clarification as the concepts and facts in such articles remain grossly inaccurate and misleading. Meanwhile, rupee liquidity in the domestic money market has been in deficit since mid- September 2018, requiring the CBSL to conduct open market operations (OMOs) to provide adequate liquidity to the market, in addition to allowing market participants access to standing facilities at policy interest rates. In view of the large and long term shortages of liquidity in the market, the CBSL conducted longer term reverse repurchase auctions and made outright purchases of Government securities mainly from the secondary market. These are regular monetary operations with market participants, which have no relevance to the government’s fiscal position or any particular political event. As a result of such OMOs, the net book value of the Treasury bill holdings of the CBSL (gross book value of Treasury bills plus total value of reverse repos and standing lending facilities minus repos with the CBSL) was recorded at Rs. 224.4 billion on 2 November 2018. However, on a gross basis, the CBSL holdings of government securities was Rs. 67.4 billion on 2 November 2018. The fact that the growth in Reserve Money has remained subdued shows that recent OMOs have not had an undue expansionary effect on money supply in the economy.